Cardi B is set to make her third appearance on Live With Jimmy Fallon next week. NBC has announced that the “Bodak Yellow” rapper will also serve as the show’s co-host on the April 9th episode. In addition to a musical performance, Cardi will be asking questions. NBC says the co-hosting gig marks the first time anything of the sort has been instituted on “The Tonight Show,” according to the New York Times reporter John Koblin. Cardi’s Fallon appearance will follow an appearance on Saturday Night Live this coming weekend, which will be hosted by Chadwick Boseman. Cardi recently announced her debut studio album Invasion of Privacy, which arrives April 6. 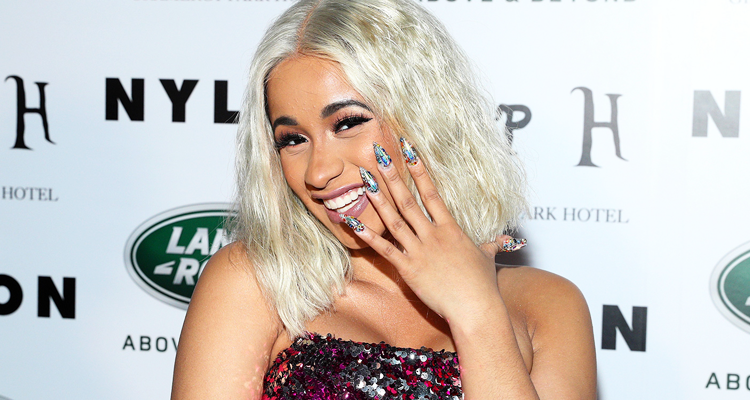 Last week saw her release the new song “Be Careful,” which followed the previous single “Bartier Cardi” (featuring 21 Savage). Watch that video below if you missed it.